Caste is social divisions which are ranked in consideration of marriage and occupation. People of similar castes share similar thoughts and morality. The general characteristics of caste system can be compared with other system of division such as those based on class or race. Undeveloped forms of caste exist in many parts of the world but caste organization and ideas are compared to such extent in Hindu societies that some scholars have considered caste a unique Hindu phenomenon. In Hindu society caste is merited and also linked to occupational struggle. The occupation was appointed to them according to their varnas (colors). The moral order of Vedic society was upheld through sacrifice, from which all varnas were benefited and to which they all contributed in different ways. The sudras offered his labor and services. The vaisyas were the farmers and looked after the cattle and provided the wealth earned in sacrifice to gods. The chettriyas had royal power, superior wealth and could also command and protect the vaishyas. The Brahmans possessed godly power and were the only ones who could perform sacrifices for the chettriyas and vaisyas, for which they received gift from them. in this way, among Brahmans, chettriyas, vaisya and sudras, workers of sudras fell in the world of slavery（どれい）. They performed the works dealt with iron, skin, cleaning the roads, cutting and selling of meat which were dishonored in the society. They were tortured and hated. So they wanted to get rid of their works and tried to do other things. But the rules were made against them and whoever tried to break the rules, were badly punished and sometimes even hanged to death. In the past, in consideration of Vedic society or religion philosophy, in the time of the rulers of 860 year later, different castes came forward in Varna system. During the years 1606-1636, the king made a system of ' four varnas 36 castes' in Nepal. There were even further divisions of those divisions. 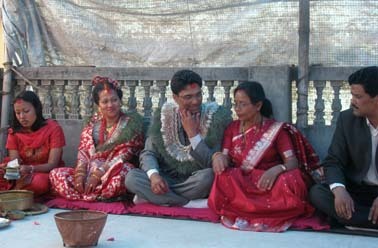 Chettri- thakuri, khatri, chettri, etc. 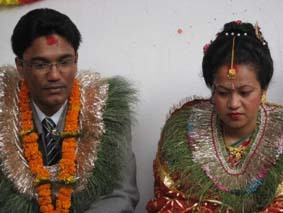 Sudra- sunwar, lower caste newar, tharu etc. Dirty or untouchable caste- vishwokarma,mijar, pariyar etc. In this way, the division of castes which was derived from the division of occupation took a place of touchable and untouchable in the society. Because of this, in ancient times, the people of higher caste used to look down upon the people of lower caste. The caste division was not a scientific fact but just a religion belief. The people of lower caste had to live a life similar to that of animals, and the people of higher caste ruled over them. Rules were made such as, lower caste people were not supposed to wear nice clothes, they were not allowed to build house made of bricks, they had to live away from city and developed areas in the banks of river. If the people touch the water, and that is accepted by the others, they are called water acceptable caste(higher caste). for eg. brahmans, chettri, newar, etc. A. The people who made weapons is called- biswakarma, sonar, kami etc. A. higher caste people exploited them in whatever way they could. C. they were forbidden from celebrating festivals and could not participate in mass programs. This behavior towards the lower caste people made their life horrible and very difficult. Even till this day, these things can be noticed in the society. Dalit people could not have the meal together with the higher caste, and the marriage between these two castes was not acceptable. dalit could not enter the house of higher caste and in most of the temples, crematory(かそうば）, taps, hotels, shops and in other public places, they are not allowed to enter. Even in the main and developed city like Katmandu, this concept towards dalit could not be improved. Because of which the dalits are compelled to give up their caste for their living. In this way, the dalits were abandoned from their rights economically, politically, socially and were not educated which led to poor standard of their living. 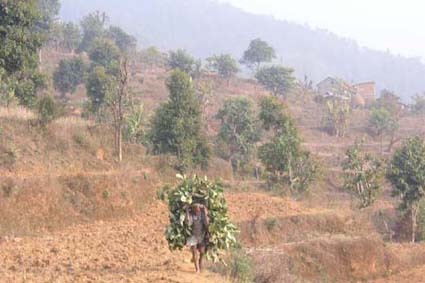 Though Nepal has set a law in which the discrimination towards dalit will be completely removed, but this discrimination is still in existence in every parts of the country. The example of such discrimination can be clearly seen from one of the incident of the school of parbat district. Because of their lower caste, the students were deprived of giving their test on cooking class. The teacher did not let the class 6 and 7 students of majhfat village of parbat to appear on a test of cooking of vocational education. “Teachers said us to keep on playing madal, they are there for cooking” said one of the dalit student. He further said “the teachers told us how we could think that they would eat the food we cook." afraid that the dalit would touch the food, so they called the other students (non dalit) before time so that they would finish the cooking before the　dalits arrived. Later on when the dalits step forward to cut the vegetables, they were asked to move aside. One of the teachers said that “being a student, they were not supposed to go to claim for human rights nor inform the reporters; rather they were supposed to inform the school authority." The dalit students went to claim for their rights in district office and threatened to go for a strike if any actions were not taken. Madhu Biswakarma, one of the dalit who was helped for her studies by laligurans club has her own story. 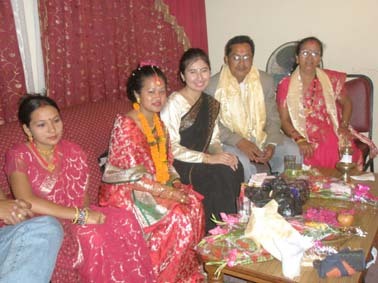 Madhu Biswakarma had settled in Katmandu from other place　with her family. She, being a blind girl, I tried to know about her in detail. In this process, I asked her name and family name. Her mother told us some higher caste. On further conversation she revealed her truth. She accepted that they were dalit. She has a small shop. She said that if she told that she was a dalit, no one would enter her shop. Our neighbors do not know our real castes. We keep on telling people a different caste. Although we are of higher caste, Brahmans. But I was touched by her story. That family was poor and dalit and Madhu was blind. So the laligurans club decided to help her in her studies and learn music.